White Rabbit Red Rabbit is a unique show for many reasons, not the least of which is that a different performer takes the stage every night- for one night only! What if you want to see more than one of your favourite local performers take the stage? 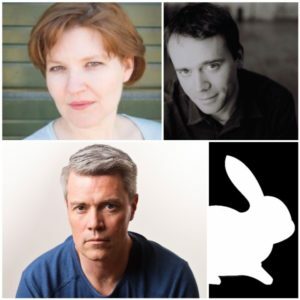 Recognizing that different performers at each show means greater potential for multiple bookings by an individual, TPM offers CARROTS FOR THE RABBITS! For individuals wishing to attend a second or even a third performance, we are offering special pricing, but only with advance payments and proof of purchase in the form of a ticket stub or a pre-paid reservation. Here are the special prices for those attending a second, third or even fourth performance! These are only available if you are attending multiple performances! The fabulous exception to this is for students. With proof of purchase for two shows in hand (don’t throw away your ticket stubs! ), they can secure a third, fourth or even fifth performance as walk ups at the door…for free! *At curtain, after all paying customers have been admitted, tickets will be released for walk up freebies for super keen students only. Adults and seniors are only eligible for the discounted rates listed above. **this is only available by calling the box office at 204-989-2400– not available on the TPM website.